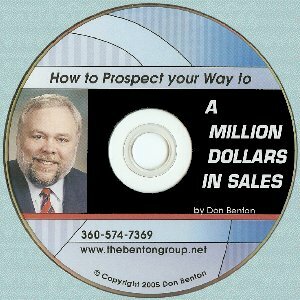 Enter your email here to sign up for Don's FREE Marketing, Advertising and Sales newsletter chock full of great sales and advertising tips. Developing the consulting relationship with your sales force and potential clients. How to make cold calls and feel comfortable doing it. Self Management: Using personal assessments to improve your life. How to teach your people to become more alert and anticipate problems before they arise. A new approach to goal setting and achieving those goals. Proper marketing makes you number one in the customer's eye. How to get more from your newspaper and Yellow Pages advertising. Learn to apply Og Mandino's Success System (tm) for a better life. 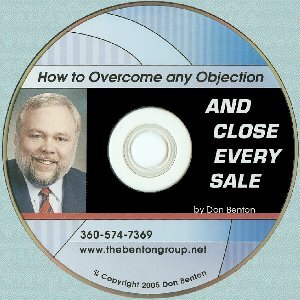 See our Sales Training page for details about how we can train you and your advertising staff. If you want more information about the exciting ways you can improve your advertising presence, Contact Us.